I WAS 12 at the time. In the first round of the Championship in 1994, All-Ireland champions Derry would play Down in Celtic Park. It was one of the most incredible tussles and probably the greatest game I have ever seen. I doubt that we will ever a group of players of such calibre gathered on any one field ever again. Certainly not in Ulster anyway. This game alone inspired a whole generation. I do not know if the current group of players in Derry or Down have ever watched the full game. Some of the current crop were not even born at the time. Either way, 24 years on, things look very different for both counties. What a sorry state Derry appear to be in. Damian McErlain had inherited a team on life support. inter-county career in management and I feel sorry for him in having to lift the team and the county from such a lowly position. All-Ireland-winning team. Other notable inter-county stars over the years since include Sean Marty Lockhart, Paul McFlynn, Kevin McGuckin, Kevin McCloy, Fergal Doherty, Patsy Bradley, Eoin and Paddy Bradley, Conleith Gilligan and Enda Muldoon to name but a few. Why is this calibre of player not being produced any longer in Derry? 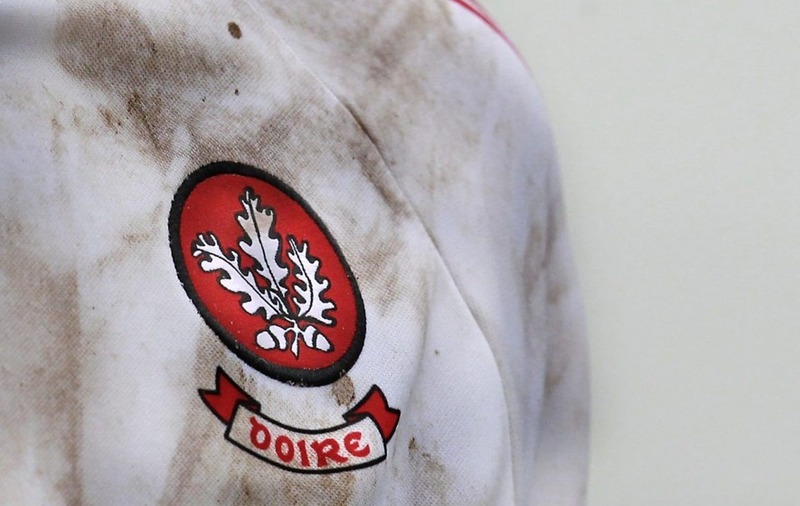 four-time Ulster football champions Slaughtneil hail from Derry, while the county team will be playing League football in Division Four next season? 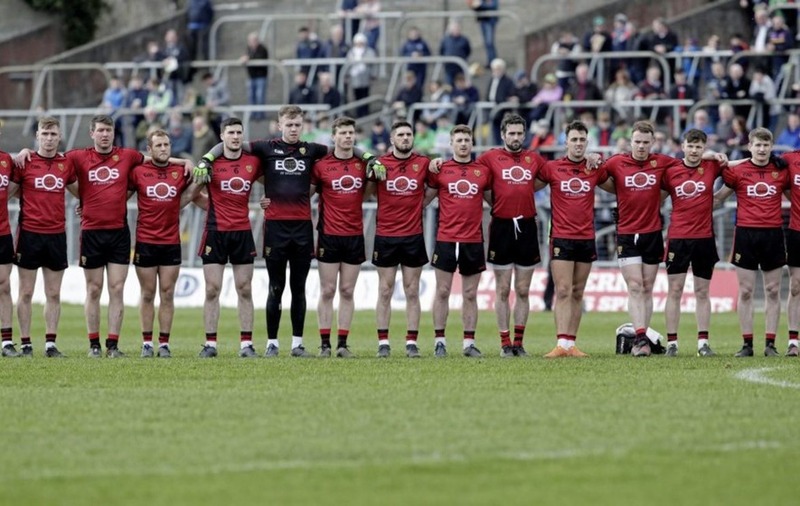 There appears to be a fundamental disconnect between the county board, the clubs and, most of all, the players. I am sure there are players who opt out of throwing their lot into the county panel for one or more reasons. However, I will never understand why a player would never want to represent their county. To me, representing your county is the ultimate honour. It is bigger than any county board or manager and management team. You won’t be the first player to have felt all these things. Surely the county team, its history, the honour of it all, is bigger than all of this. In my book, you put your head down and make it impossible for anyone not to pick you. You stay the course. Similarly, for any club, having a county representative is/was an honour. It is testament to the coaching done within the club since their childhood. Is this an idealist way of looking at it? Maybe. Fundamentally, there should be an encouragement element from within the club to send representatives to county squads as opposed to the club encouraging their representatives to opt out to ‘concentrate on club football’. On that note, Derry clubs need to take a good hard, long look at themselves. The Oak Leafers have some serious talent in the county, of that I am in no doubt. They appear to lack leadership and this runs from the top down. They may have a fine training centre in Owenbeg, but give me Division One football and a healthy Championship run every year instead. Down may not have dropped a division just yet, but Armagh and Fermanagh are seemingly about to pass them, having been promoted from the third tier. It looks highly probable that their relegation will be confirmed for the Mournemen this weekend. Down have been flirting with relegation for two seasons now and it is perhaps inevitable that their luck will run out at some point. when no-one else wanted it. Not since James McCartan was manager has the county enjoyed stability and relative success in terms of competing with the top 10 teams in Ireland. Burns’s record at the helm is stark. Played 26 League and Championship games, won six, drawn one and lost 19. That is a win rate of 23 per cent. Granted, Jim McCorry was not long in the job, however, 10 games (League and Championship) yielded a 50 per cent win rate and this was not deemed good enough. At this rate, it is likely that Down could slip further down the pecking order if results do not pick up. The facts may be hard to swallow in some quarters, but some of the best players in Down are not playing for the county. Some of our better players have left the set-up. There is a fair bit of background and foundation work going on within the county in terms of underage coaching, mentoring and preparation. There has been progress both structurally and financially from within the county board over the last few years too. 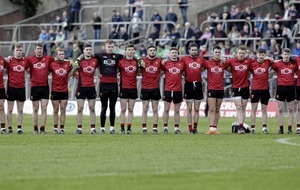 However, the senior footballers remains as the shop window in measuring any county’s success. And as a Down man we are failing here. I truly believe that Down have the potential to be a top 10 team. I am sure that in the right structure, given the strength of clubs such as Slaughtneil, Derry football could push themselves into this category too. Unfortunately though, Derry and Down share similar paths. And people will have to get hurt. What is incredible is that Monaghan have sustained such levels of consistency under Malachy O’Rourke, a Fermanagh man, as is possible for a county of their size. O’Rourke’s record with Fermanagh and Monaghan has been outstanding and his relationships with his players have always been very positive. To finish in third position in Division One is a fantastic result, given their start to the League. You can’t help but admire him, the management team and indeed the Monaghan county board for their choice of manager. Tyrone, likewise, finished the League strongly and Mickey Harte will now have ensure that his players ready themselves for a titanic battle against the Farneymen in an Ulster blockbuster for openers. Cavan, meanwhile, deserve their promotion and wasn’t it refreshing to hear Mattie McGleenan state that the county did not get the best from him in 2017? Refreshingly honest, the ability to self-reflect publicly is a welcome change to the usual deflection techniques that are peddled by some managers nowadays. I never doubted that Kieran McGeeney would help drive Armagh back into Division Two. However, he will be nervous going into a Championship on the back of a defeat to Wexford, which really shouldn’t happen. Score of the week has many contenders from Jack McCarron’s exquisite goal for Monaghan to Conor Madden’s point to send Cavan up. For me, though, the accolade goes to Seamus Quigley. It was a special kind of score. For Fermanagh, for Rory Gallagher, for their county board and for their fans, it was a joy. This is a county who punch well above their weight.